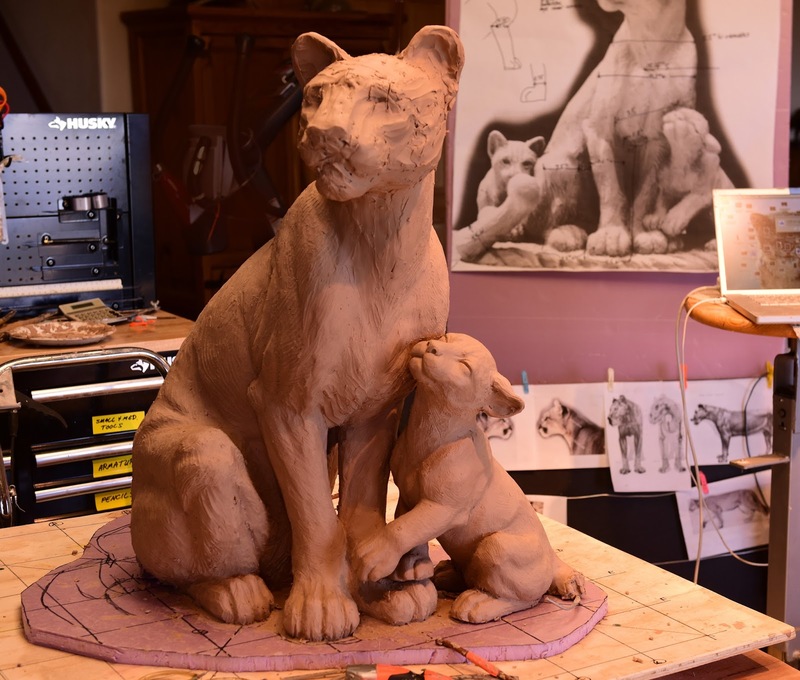 The finished sculpture should have the mom mountain lion and three cubs; the two that aren't there yet will be to the left in the last photo. 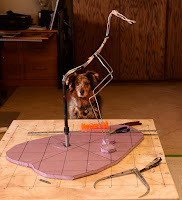 It's interesting to see how she puts together the armature with metal, and the (very!) rough shape with what looks like sheets of foam. It's all very abstract until the clay starts to go on! Paradise ponders: happy dogs, musical memories, declining savings, and dark nights edition... 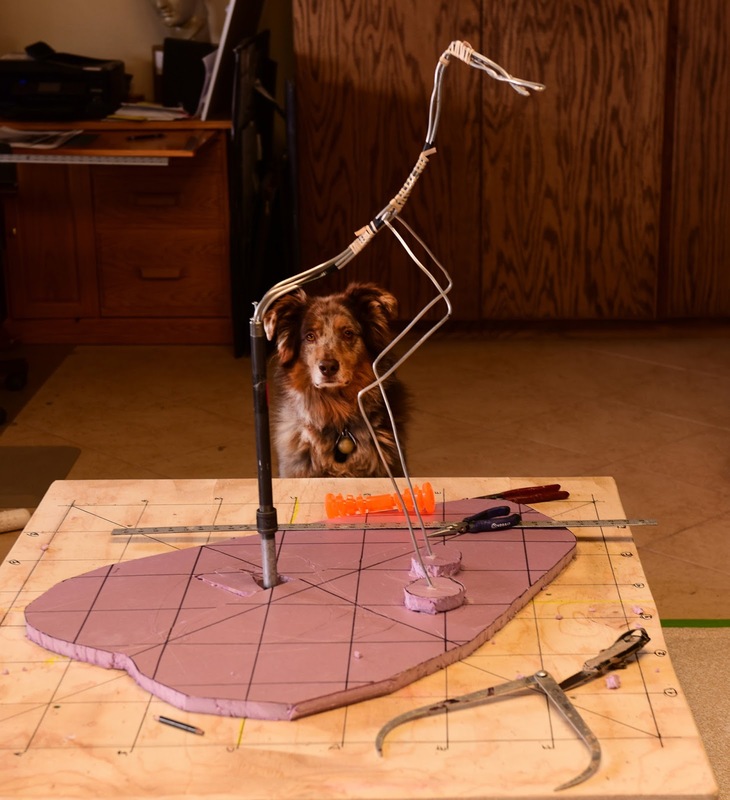 It's so easy to motivate dogs to do anything at all – just figure out a way to let them associate the behavior you want with getting a treat, and they'll do it. Anything. If you just give them a treat for no reason, their joy is nearly boundless. Often, upon noticing this, I reflect on how much more difficult it was to motivate people to do what I needed them to do at any business I owned or managed. There is no “treat” that works for everybody, though often one could figure out a treat that worked for an individual. Even then, though, that treat didn't work all the time – and something else might come along that completely negated the effect of a promised treat. For example, I recall an engineer who worked for me, who (I discovered) really badly wanted to take a couple of months off for an around-the-world trip with his wife. I promised him that in exchange for solving a particularly tedious problem we were having with one of our products, a problem he was particularly well suited for. This worked for about four months; he plunged into the work with enthusiasm and was making great progress – until he got offended at a completely unrelated decision we'd made about another part of the product. In the space of a day or two he went from an energized, nothing-will-stop-me attitude to that of a defeated soldier. He gave up. The work didn't get done by him, and he didn't get his reward. That sort of thing never happens with dogs. They're so much simpler! That tasty biscuit works every single time. Oh, I'd have given a lot for an engineering equivalent of a Milk-Bone! An email conversation with a (much younger) friend led me to do a little research this morning, and I found the chart at right (source). It confirms something I suspected from my own experience: people these days are saving (for all reasons, including retirement and buffer) at a much lower rate (~3% of disposable income today, versus ~12% in the '60s) than they did when I first entered the workforce (in the late '60s). I don't know the reasons for this, but clearly some of it is a changing culture, part of the more general trend of people not expecting to have to handle the consequences of their decisions. Anecdotally young people today seem much more likely to expect government intervention to support them in retirement. When I've pressed people for details about this belief, I haven't run into anyone who has specific notions. Everyone seems to dismiss Social Security as adequate for retirement, and many have a vague notion that the government will “do something” to provide for them in their retirement. I saw figures recently (can't find them now, though) that less than 20% of people aged 50 had any means or even a plan for supporting themselves in retirement. They had vague notions, like cashing in the equity on their house, but nothing more. This morning I walked from our house to our barn at around 6 am, and the skies were particularly dark. Orion was high in the southwest, the Pleiades in the west. As I was staring up at them, a big meteor, orange fireball, plunged straight down from between them. 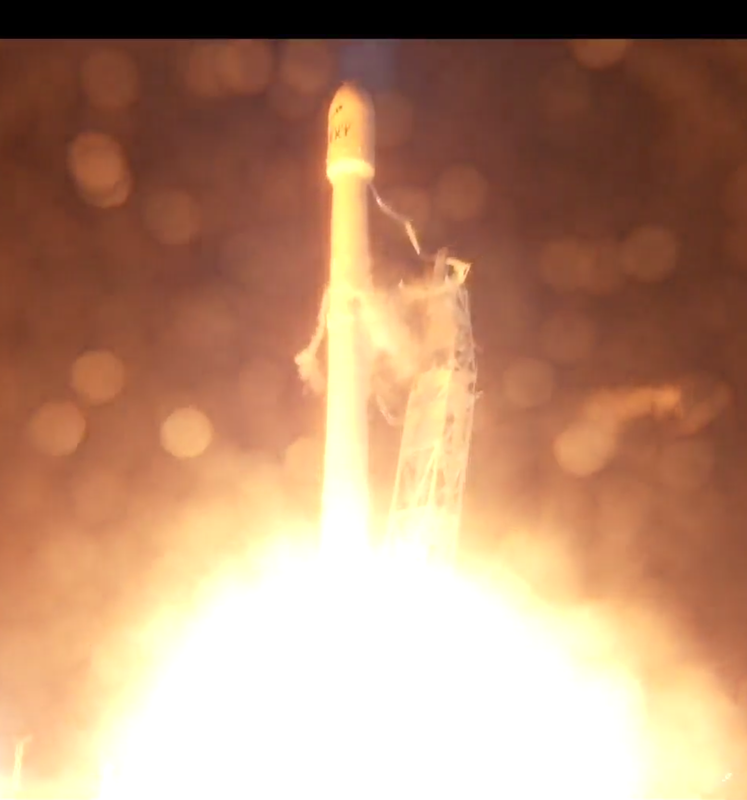 I could even make out some smoke trail, so it must have reached a fairly low altitude. The fireball was extinguished just before it would have disappeared behind the Wellsville Mountains from my perspective. Beautiful! Debbie's coughing persists, so yesterday morning we ventured off to the urgent care again (if you're counting, that's the fourth time since she first got sick on the 7th). We were ... less than satisfied with the outcome there. The doctor on duty listened to us politely. One of the things we told him is that the cough medicine Debbie had used for years to combat her cough-after-a-cold problem was benzonatate – but it no longer worked for her. He recommended that we try a different cough medication. We went to the drug store, picked up the prescription he gave us – and it was benzonatate in brand name form! At that point we decided to make an appointment with our GP, despite the fact that we might have to wait a while to see her. Debbie called in, and it turned out that our regular GP was out on maternity leave (she just had a baby boy), and would be until January. But ... there was a doctor covering for her, and we could get in on that very afternoon. Awesome! So off we went again, to see the new doc. This fellow we both really liked. In fact, Debbie's first comment upon leaving was that she wanted to switch GPs to him. :) He listened, was full of questions and comments, and had a cracking good sense of humor. We were most excellently entertained, and we left with a smile, a prescription for hydrocodone-based cough medication (the only one that's worked for her this year), and an inhaler that he thought might well help. An hour later her coughing had stopped. Last night she got her first good night's sleep in over a week. Paradise ponders: it was just yesterday edition... Only 24 hours ago I mentioned that so far I had ended up writing utility C code myself instead of using third-party libraries. Well, that ended this morning! :) I needed to create some JSON-encoded output, and naturally I wondered if someone had a C library for that. The answer is a resounding “Yes!” – I found dozens of them. I looked for simple and small, and found this one that I quite liked, right down to the MIT license. In this case the easy way to use the library was to simply download the two source files (one .c, one.h). It all compiled and worked on the first try. I might have to do a little more of that! Now I know that only the geekiest amongst you will have any clue at all what you're seeing there. If you're curious, everything you need to understand it is available here. That output was generated with “ntpq -p”; it's a peers report. The important bits to me are where I've highlighted it in orange: that's the offset and jitter, in milliseconds, for my little NTP server. A zero in those measurements would be perfect; I'm pretty darned close! :) My GPS-based timing unit is currently reporting (separately) a maximum error of 8 nanoseconds in it's pulse-per-second output, and that's what my NTP server is using for a reference (that's what the “oPPS(0)” refers to). The other interesting piece of information I see is highlighted in red. That's telling me that the toofishes.net NTP server I'm using as a possible reference has not responded to 3 of the last 8 queries my NTP server sent to it. The “-” at the far left of that line tells me that my NTP server is ignoring it, most likely because of these errors. Paradise ponders: dogs and C edition... There's a morning ritual at our house that is by now burned into the brains of our five (!) dogs. The ritual has several parts, all of which the dogs have firmly associated with canine bliss. The first part is the morning excursion to the back yard. We generally let them out first thing after we get up, even before we do our morning ablutions. The dogs all know that nothing else happens until they've gone outside and done their business. They do that quickly, and then as soon as they see activity in our kitchen (as when we've finally really gotten up), then they clamor at the door to be let in – they know what's coming next: bananas! Once the bananas are gone, I (and usually Debbie) settle into our morning tea, coffee, and toast or pastry routine. We're generally talking, reading news or email, etc. during this time. The dogs are all watching us carefully, waiting for signs that we're finished. They are incredibly good at detecting these signs, and you can see them winding up as the end approaches – because they know that once we're done, I'm going to feed them. And that, of course, is the best moment of the day! This sort of error (referencing a pointer variable directly, instead of the object it was pointing too) just doesn't happen in Java. There are no pointers, or so the language proponents like to claim (really, all the object instances are pointers internally, but the language does a great job of hiding that from you). Paradise ponders: geekly gloating success! I had to find the sources for a particular older version of the GNU debugger (gdb). That turned out to be far more challenging than I expected, and led me down a blind alley learning how to clone git repositories. Turns out GNU has a tarball of exactly the version I needed up on their anonymous FTP server. I had to configure and compile that special version of gdb. The configuration would allow gdb to execute on my Mac, but debug programs compiled for the Version 7 ARM computer that powers the Raspberry Pi 3. This was way harder than I expected, but only because I had so much trouble locating the magic word (“armv7-unknown-linux-gnueabihf-gdb”) to use as the argument for the “—target” parameter to ./configure. I read approximately 17 billion web pages to find that magic word. I had to figure out what “symbol file” meant in the CLion run configuration screen. I ran with the assumption that I had to tell the compiler to produce a symbol file ('cause that's how things worked in the dark ages when I last did things like this). Turns out that's wrong. What I had to do was to compile my source code on the target machine, then copy that object file back to my Mac – and point to that as the symbol file. That took another 12 billion web pages skimmed to figure that one out. I also found a way to produce a separate symbol file, though I'm not sure I actually care – the first method is easy and fast. The most important thing, though, is: Hooray! I've got it working! Paradise ponders: missing blogger edition... No, I haven't disappeared from the face of the earth! I've just been heads-down on several projects, including installing a microwave, trying to figure out CLion (the C/C++ IDE from JetBrains), and generally learning the C toolchain for remote development on a Raspberry Pi. So much stuff to learn! Paradise ponders: NTP adventures and old friends edition... Debbie and I are both feeling a bit better today, but wimpy as heck. Debbie's fever seems to have broken last night, and her voice is back. I can tell she's feeling much better because she did the cat chores today, much to the delight of our feline contingent! Last night our forecast called for snow, but we didn't get any. We did get just a bit of a kind of fine-grained hail (photo at right), along with (I'm guessing) about a tenth inch of rain before the temperature dipped below freezing. Most of yesterday and this morning I've been consumed with trying to fix a problem with my NTP project: configuring the GPS to be in stationary mode, wherein it assumes the antenna is not moving. This translates into more accurate time measurement (more on that below). The problem I started out with was that the directions I was following for setting up my NTP server included a link to a program that just plain didn't work. The specific problem was that the program hung when it tried to open the serial port for reading and writing. I troubleshot it for several hours, but finally gave up because I didn't understand how it could ever work in the first place. So I decided to write my own program instead. That meant that I had to understand the rather complex communications protocol that the GPS chip manufacturer uses for the functions I needed, as they're implemented in a proprietary “UBX” protocol. Then I had to dust off my (extremely) rusty C programming skills – the last time I wrote a complete C program was around 1983 (seriously!). I've done lots of work since then in C++ and Java, but not in C – and if you're a C programmer, you know it's changed a lot since the '80s! Finally, I had to learn something completely new to me: serial port programming on Linux. I did the development work on a Raspberry Pi, where the only development tools I had was gcc (the Gnu compiler) and nano (a text editor). Somehow I managed to get my little program working, which, I have to tell you, was a very satisfying thing indeed – validation, of a sort, that I might have more than two or three little grey cells still working. If you're geekly enough to be interested, here's my satisfying little program. A couple of my readers wanted to know what the heck a GPS receiver has to do with keeping good time on my network. If you don't know anything about how GPS actually works, I can imagine this is really quite puzzling! The first thing you need to know is that each GPS satellite has an incredibly accurate atomic clock in it. 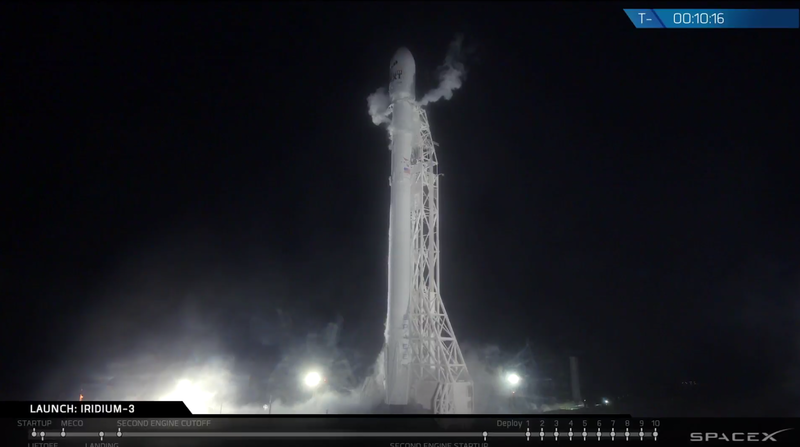 There are over 50 of these satellites in four separate systems (the US, Russia, China, and Europe each have their own independent system), so there are a lot of these awesomely precise clocks flying around. The GPS receiver I'm using can listen to all four systems, and at any given moment it likely has 10 or 12 satellites “in view” (meaning that it can hear their signals). Once my receiver can “hear” at least four satellites, it can tell the time very precisely indeed. In fact, its accuracy is very nearly that of an atomic clock, as if I owned one of these (very expensive!) things. All that with a $39 GPS receiver and a $29 antenna! Paradise ponders: finishing touches and beginnings... I woke up this morning feeling pretty lousy – mainly because I was running a fever – but by the end of the day my temperature was nearly normal, and I was feeling ok. Debbie is continuing to get better as well. Today the special battery arrived for the alarm panel (part of the much-bigger-than-expected gate sensor project). This was the last piece I needed to complete the whole project. I installed it, expecting instant gratification, but I still was getting a low battery alarm. Dang! On the off chance that the battery wasn't shipped fully charged, I decided to wait a few hours before troubleshooting. Glad I did! About two hours after I installed the battery, my low battery alarm went away. Yay! Everything is now working properly – quite a relief after all the trials and tribulations it took to get the right parts. Now I have a new skill: programming Ademco/Honeywell alarm panels. For a geek, that's roughly the equivalent of an auto mechanic understanding how to rebuild a 1927 Ford's engine – interesting, possibly even cool, but pretty much worthless in the real world.